How about pasta? After a long day at the beach, you can stop by Bungalow Bar for some shrimp linguini. 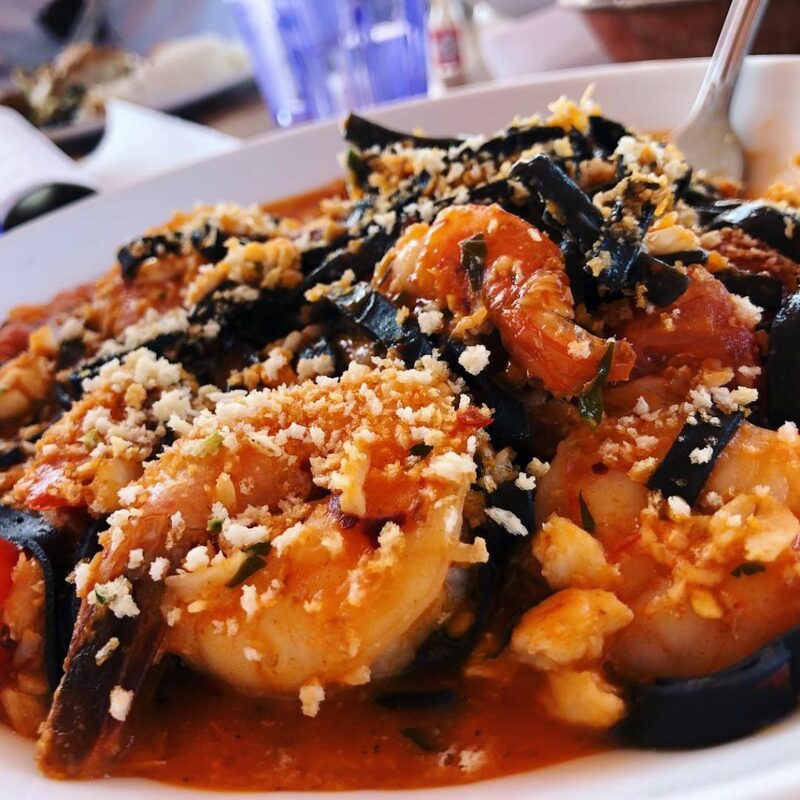 As described by Christina this is black squid ink linguini with shrimp on a spicy tomato sauce.